According to the central theory of this blog, the "comforter" of the self in Japan and the West observes the self in a different media. In either case the comforter is based upon the mother. Before we become aware of our mirror image or our names we identify our subjectivity with that of our mother and later learn to see (Japanese) or hear (Westerners) ourselves as an object of her subjectivity or in her frame of reference. In Japanese, more matriarchal society the mother looks and the self is seen. In the West the mother is more passive, she listens. Self expression in the dominant medium of self expression is enjoyable and enhanced, and self expression in the non dominant medium is in each case fraught. 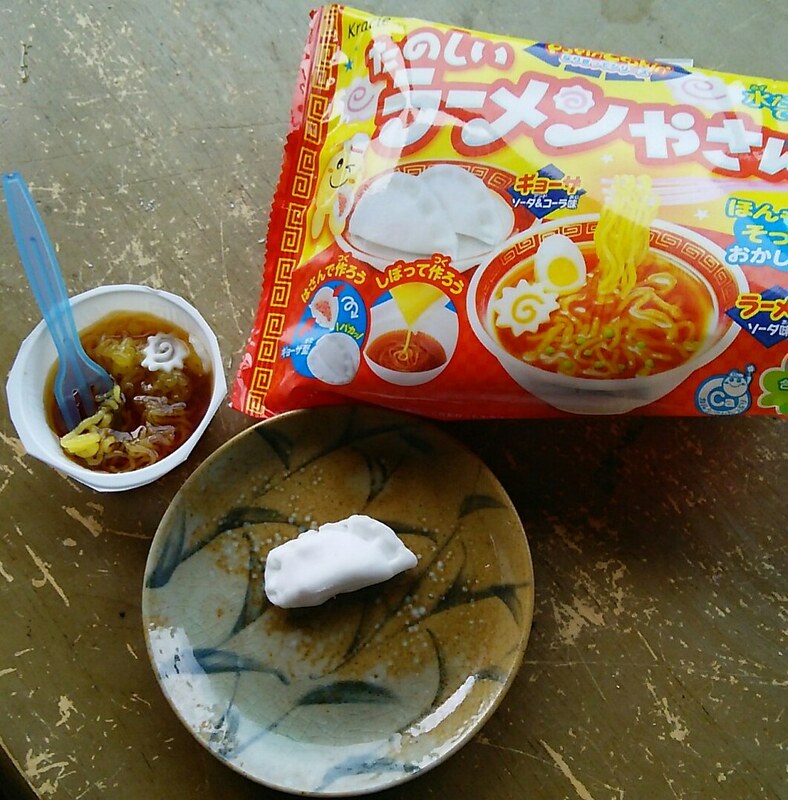 Japanese enjoy taking pictures of themselves, posing, and "making (visual corporeal) things". Westerners love expressing themselves, shooting their mouth off, and (as I am doing now) making up theories. 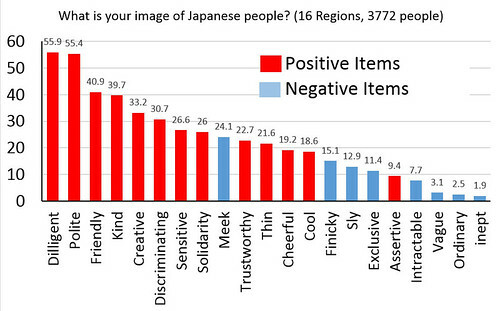 Japanese have a problem with linguistic self expression and Westerners have a problem with mirrors. Baumeister (1990) theorised that mirrors would increase the desire to escape from self in the most drastic way: suicide. Selimbegović & Chatard（2013) demonstrated this greater tendency towards suicide by testing the amount of time before subjects were able to recognise suicide related words (suicide, rope, wrist, hang, and attempt from nonsense words) in front of a mirror and in a control condition. It was found that subjects became quicker at recognising these words in front of the mirror and that this effect increased when the subjects were encouraged to think about how far they were from their own ideals. In Japan mirrors are used on train platforms to prevent suicide. In the West telephones are used in same way but, as Butler (Butler, Lee, & Gross, 2009) demonstrates, linguistic expression tends to make Japanese MORE stressed. Baumeister, R. F. (1990). Suicide as escape from self. Psychological review, 97(1), 90. Butler, E. A., Lee, T. L., & Gross, J. J. (2009). Does expressing your emotions raise or lower your blood pressure? The answer depends on cultural context. Journal of Cross-Cultural Psychology, 40(3), 510-517. Selimbegović, L., & Chatard, A. (2013). 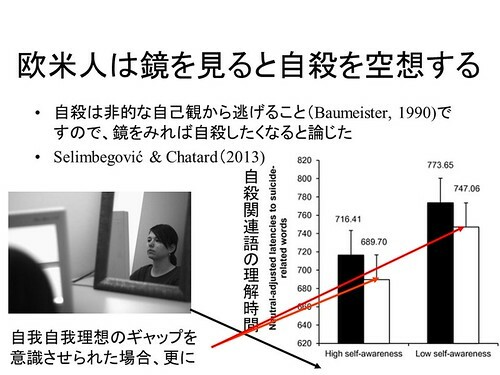 The mirror effect: Self-awareness alone increases suicide thought accessibility. Consciousness and cognition, 22(3), 756-764.